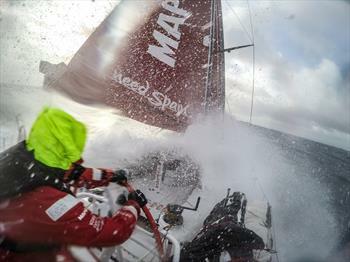 The MAPFRE, Spanish ship with the Brazilian André ‘Cheek’ Fonseca, leading provisionally second leg of the Volvo Ocean Race, between South Africa and the United Arab Emirates. In a direct fight with Abu Dhabi, the Iberian team cannot waver, because in addition to the Arabs, four other boats are close, with less than 20 km away. The situation should change in the next few hours in the Indian Ocean, with the forecast of winds over 110 km/h and waves of up to seven metres. A true tropical storm. Enter a dilemma for athletes: escape from the storm and navigate more or face dangerous conditions? For the Commander of MAPFRE, you can’t be too careful. “We have to get a lot of attention, as it can occur any breaks with a lot of wind,” said Iker Martinez, Commander of the MAPFRE. The Dutch Team Brunel also are on alert for storms in the coming days. “What most concerns that tropical storm is not the wind, but the State of the sea. 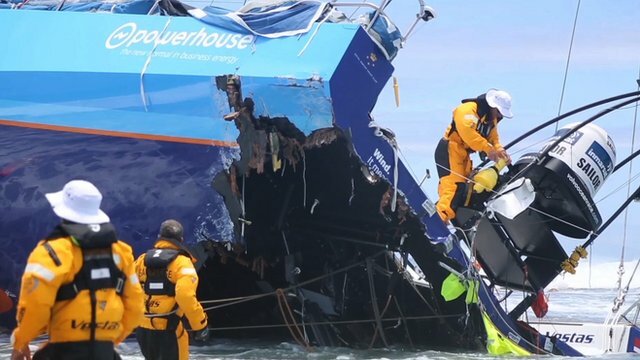 We can take stern winds with waves in the face, “said Bouwe Bekking, skipper of Team Brunel, placed third after the last update of the scoreboard. At that time, the seven boats are grouped, with alternating leadership between MAPFRE and Abu Dhabi. The question that remains is if the storm may develop into a cyclone. “If it is a tropical storm, the wind will be from 30 to 50 knots. But everything can be 40% stronger. The boats can withstand these conditions, but we don’t know if the crew will hold,” said meteorologist Gonzalo Infante. The flotilla still has more than 3,500 nautical miles ahead of us before arriving in Abu Dhabi, in mid-December. The boats left Cape Town on last Wednesday (19).